Thousands of businesses choose us every year for their company vehicle leasing needs. We don’t just supply them with cars and vans but also related products, services and award winning expertise. Renault have a single-minded commitment to you, your business and your fleet. Whether you’re a sole trader, partnership, small enterprise or large – you get the same high level of care, support and commitment to quality. 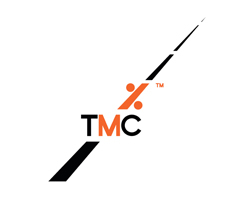 – Fleet Audit – Driving Licence checking – Driver Risk profiling – E-Learning – In-house workshops – On-road driver training – Grey Fleet Management. 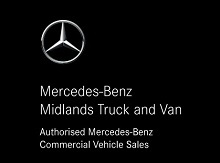 Business to business flexible vehicle hire with innovative, award-winning, industry leading telematics. Safety as standard with every vehicle, we provide a duty of care for drivers and road users. ABAX is a market leader in GPS Vehicle tracking systems. Our world-leading products help save businesses time and money and eliminate the risk of tax penalties. Nexus Vehicle Rental enables business mobility through technology and is the most innovative corporate vehicle rental provider in the UK. Through its online platform customers can access 550,000 vehicles across 2,000 locations. Midlands Truck and Van offer both New & Used Van and New & Used Truck sales, with Aftersales solutions including 24hr servicing and parts availability. The UK’s leading glass repair and replacement company committed to serving private and commercial sectors. With the largest mobile technician fleet we provide; • Total glass solution for cars/vans/HGV/ Plant/specialist glass • Repair, replacement, recalibration • Fast, efficient, cost effective service. Enhance bottom line profitability, protect your assets, and reward your drivers for good performance. Lightfoot rewards better driving, so everybody wins. eDriving helps organisations to reduce collisions, injuries, licence endorsements and total cost of ownership through a patented “closed-loop” driver behaviour-based safety programme that predicts risk and guides safer behaviours. Honda not only offers reliability, performance and style for your fleet, but has a knowledgeable and approachable team to support you in making the right purchasing decision with your vehicles. Fiat Chrysler Automobiles (FCA) offer customers a wide variety of choice from different brands with a ‘one-stop shop’. Solution for any business fleet needs – and with cars as diverse as the iconic Fiat 500, the robust Jeep Renegade, and multi award winning Alfa Romeo Giulia and Fiat Professional Doblo Cargo, the line-up of vehicles can tick every fleet box.